• Coconut oil is great for cooking because it remains stable. The benefits of the oil are not damaged by heating and will remain in the oil. Do you have any recipes you would like to share with us or see on our recipes page? Cream together butter and sugars. Beat in egg, vanilla and milk and mix until smooth. In separate bowl sift together flour, baking soda, baking powder and salt. Add the dry ingredients with the wet. 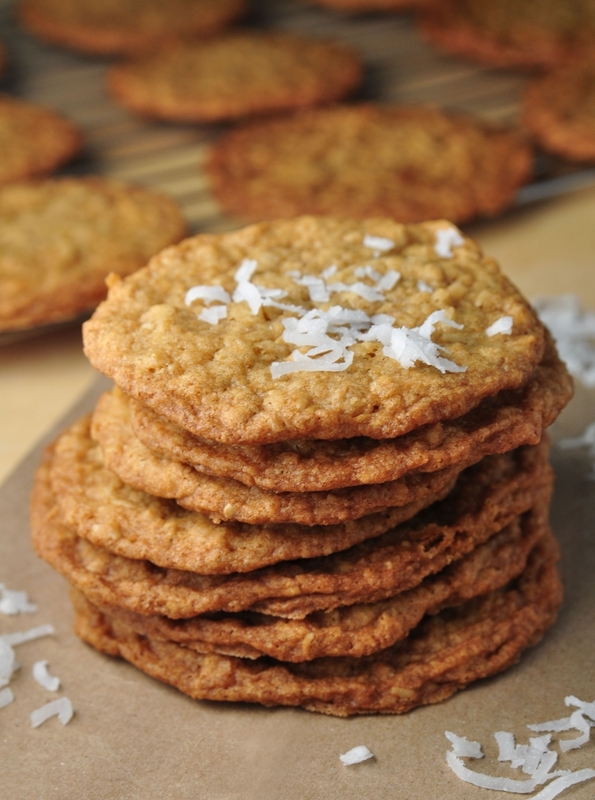 Once all are combined and smooth, add oats and coconut. Beat mixture well. Drop tablespoon scoops of cookies 2 inches apart on well-greased cookie sheet and bake for 12 to 15 minutes or until golden brown. These are even better with the addition of 3 T. unsweetened cocoa powder to the cookie dough before baking. Ann, that sounds so yummy! Chocolate and Coconut! We may have to try your recipe twist soon. Thanks for stopping by. I add walnuts and either dried cranberries or milk chocolate chips. YUM!!!! Espie that sounds great!!! Thanks for stopping by.